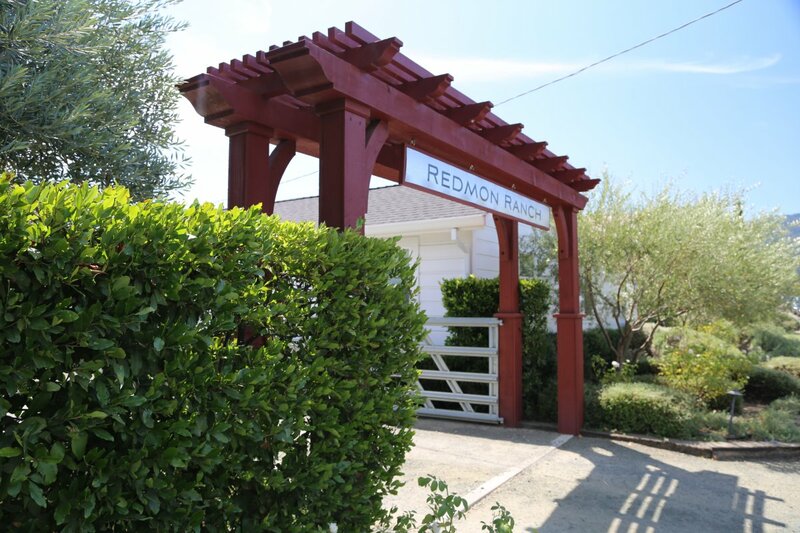 Redmon Wines is a small Napa producer with an annual production of around 1000 cases. The winery is owned by Lisa Mangelson; as a sole proprietorship, she wears all the ‘hats’ that comes with owning a small winery. This includes wine making decisions, input into vineyard management and overseeing the sales and distribution. Her wines are only sold in the state of California – distribution is minuscule, rather she focuses on direct to consumer and sells wines through a mailing list and wine club. She has personally met many of her customers over the years. The label began as a very small production in 1999; initially 25 cases (about a barrel) of home wine were made in her garage and then released as a commercial vintage two years later. Lisa is originally from the San Francisco Bay Area but has lived in Napa for 35+ years. Her father moved the family to the Napa Valley in the early 1970’s when he purchased the only “fast food” restaurant in all of northern Napa – the A&W in St. Helena. A number of family members worked at this restaurant over the years including Lisa when she was a child. The family owned the A&W for some 35 years before eventually selling it. Using the profits from the restaurant, in the early 1990’s Tom purchased a 3.5 acre vineyard almost behind where Dean & Deluca is currently located in the town of St. Helena. 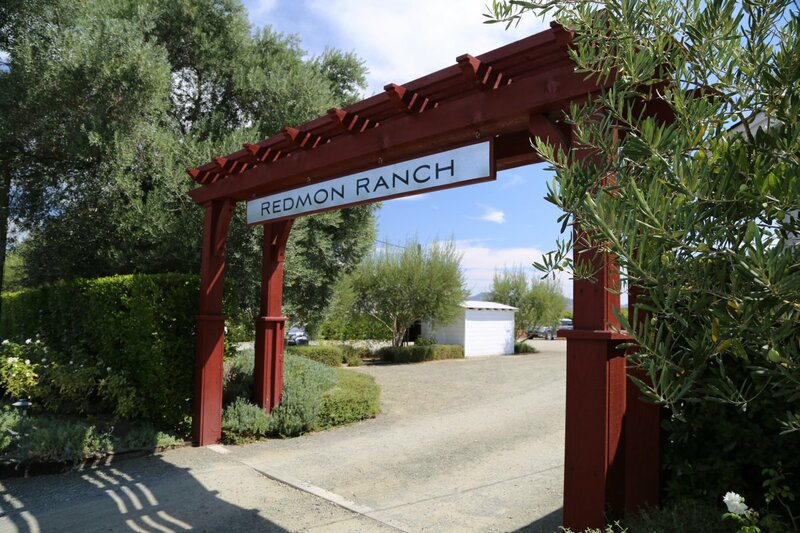 Lisa has enjoyed wines for many years but before co-founding Redmon, she hardly considered herself knowledgeable about wine. By virtue of living in Napa and being surrounded by vines as well as having the opportunity to develop a small vineyard – she discovered the “Napa allure” that often turns neophytes into oenophiles. This small vineyard is entirely planted to Cabernet Sauvignon and the original vines dating back to the late 1950’s are still in production. These are among some of the oldest Cabernet Sauvignon vines in all of Napa County (still commercially producing). Lisa took over the management of the vineyard from her father. At the time the vines were all head trained without trellising, the rows were planted 10 feet apart from each other and the entire vineyard was dry farmed. Lisa added trellising to the vineyard – retrained the vines completely, added new rows of vines in between the old rows and brought in irrigation as needed. Today their farming is a nice mix of both traditional and contemporary practices. And in a tribute to the old head pruned vines, the R in their label is roughly in the shape of what the old vines looked like before trellising was introduced. This vineyard sits on the edge of the valley floor on what is known as St. Helena bench land – some of the valley’s premium vineyard real estate. The soils are composed of gravelly deposits that have washed down from the nearby Mayacamus mountains over the eons as well as volcanic soils. 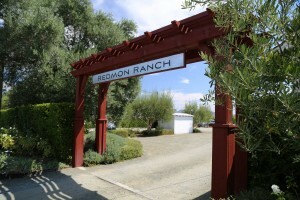 Nearby neighbors include Corison Winery and a Del Dotto owned vineyard. For most of their vintages to date they focused on one wine – a 100% estate varietal Cabernet Sauvignon. However in recent years they have expanded their production to include a Carneros grown Chardonnay, a Merlot and a Cabernet Sauvignon based blend created from various vineyards in the valley. When researching the style of Chardonnay she wanted to produce Lisa didn’t have far to look. Collecting a number of Napa Chardonnays – she participated in several blind tastings. Ultimately Lisa began producing a lighter styled, food friendly wine that saw only partial malolactic fermentation and no new oak during its aging. The result is a wine that is crisp, clean, yet retains some weight on the palate and pairs well with a variety of foods. The 2009 shows a pleasing bouquet which is mostly citrus dominated – Meyer lemon and orange blossom – there is an underlying component however of tropical fruit which helps temper the citrus aromas. The mouth feel is clean with some weight, but it is in balance. The mid palate is clean – the finish has some richness to it and is well endowed with various baking spices. The 2008 Cabernet Sauvignon based blend has some Merlot (for softness) and Cabernet Franc to add a additional complexities including some spice. The nose shows ripe slightly jammy aromas including blackberry and blueberry. The palate is approachable upon entry with dusty tannins starting about the mid plate. The finish lingers with broad fairly coarse tannins as well as both red and black fruit. The 2009 Estate Cabernet Sauvignon is much darker then their red blend. The bouquet is seductive and elegant while harboring deep dark fruit aromas including blackberry, black cherry as well as cassis. As the wine opens additional aromas of both dusty chocolate and some vanilla are revealed. The mouth feel is immediately soft and velvety – it is rounded with a delicious backbone of fruit anchoring from start to finish. The finish is more delicate than the blend but has plenty of length. Lisa also owns another small property in St. Helena which originally contained a winery; this is quite beneficial in Napa as all winery bond permits are grandfathered in. This old winery was known as the Fountain Winery and was founded by two Germans in 1876. They produced wine until Prohibition and after the repeal the winery briefly served as a fruit distillery. While the old winery is no longer there – the old barn is still standing (dates from 1899) and with some retrofitting and remodeling, this would make an ideal winery facility. And in another piece of history relating to this property – the residence on site used to be located on site of the old Sunny St. Helena Winery (now Merryvale) and was one of the Mondavi family homes in the 1930’s. This home was moved to the Redman Ranch in 1951. Lisa, Your brother Matt and I were very good friends back when Matt lived in Baldwinsville NY. Just wanted to give you a kudos for creating from the ground up a business or project that entails your own specially crafted wine It’s awesome to see hard work and dedication come to fruition! !